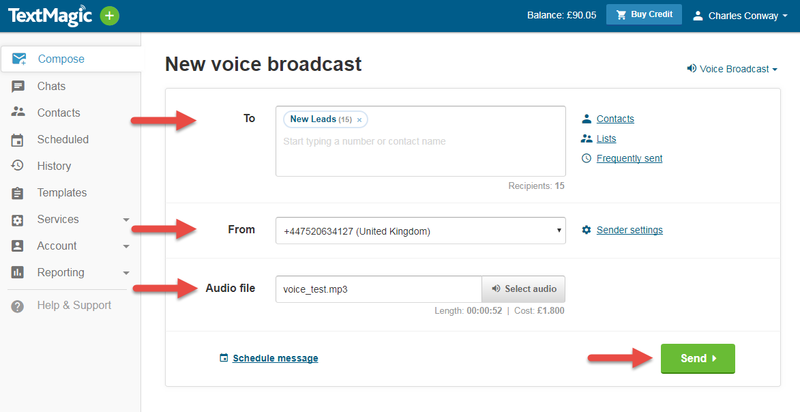 To send voice messages, you should first buy a voice-enabled dedicated number. We cannot guarantee that voice messages will be delivered if you send them from a number that does not support voice features. Select Compose from the main menu. 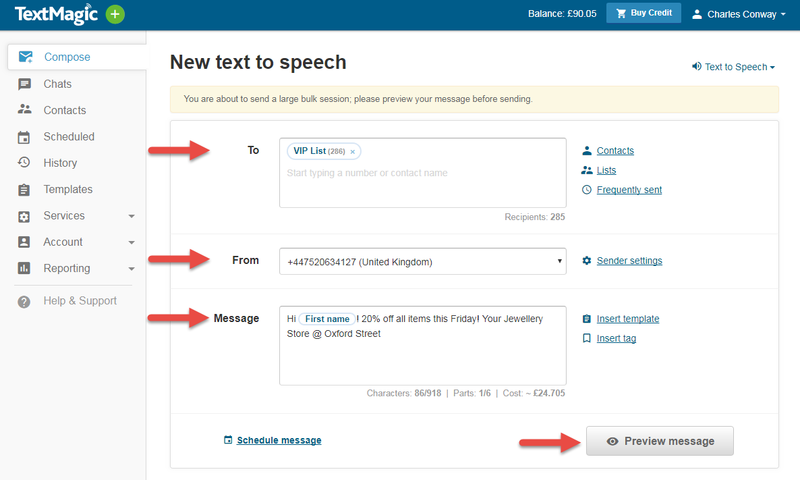 Select the voice-enabled number you want the message to be delivered from. Type your message into the message box. (Learn more about maximum SMS length.) 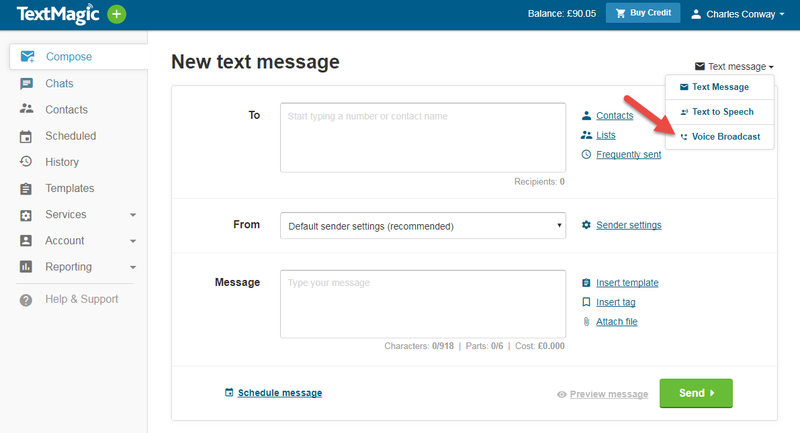 You can also send personalized bulk messages using mail merge tags. When you’re done, click Preview message or Send/Schedule message. Congratulations, your voice message has been sent! It will be delivered as a phone call to the recipient. If no-one picks up, a voice mail will be left. You can upload and send audio files with the maximum length of 90 seconds and in the following formats: .wav or .mp3. Select the audio file you want to send. Congratulations, your voice broadcast message has been sent! It will be delivered as a phone call to the recipient. If no-one picks up, a voice mail will be left.